Who Got to America Before the “Natives”? Who were the true Native Americans? The typical explanation is people genetically similar to modern Siberians who crossed over a land bridge and eventually made their way down to South America. This explanations assumes and insists that there was no other way for humans to have arrived here because there was no technology like seafaring, navigation or aviation at the time. In 1953, miners at the Lion Coal Mine in Wattis, Utah were digging a new tunnel, and broke into an already existing system. The coal found in these tunnels was so old and weathered, it was useless for burning. Further exploration by Drs Wilson and Jennings from the University of Utah revealed not only the tunnels, but centralized rooms where coal was brought prior to being taken to the surface. The tunnels themselves averaged about 5-6′ high, (although there was one 8′ tunnel they followed for 8500 feet), and followed the coal seams in the same way as today. Yet none of the North American Indian tribes ever used coal. Who, then, were the miners? Mrs. S. W. Culp, of Morrisonville, Illinois, was breaking coal into smaller lumps for her scuttle, one day in 1891, when she noticed a chain in the midst of the coal. When she reached down to pick it up, she saw that the two ends of the chain were firmly embedded in two separate pieces of coal that had clearly been a single lump only moments before. A piece of feldspar from the Abbey Mine in Treasure City, Nevada, in 1865, was found to contain a two-inch metal screw, which had oxidized but left its from and the shape of its threads within the feldspar- the stone itself was calculated as being millions of years old. In 1961 a fossil encrusted geode (although this one was not hollow) was picked up in the Coso Mountains, six miles northeast of Olancha, California, near the top of a 4300′ peak overlooking the dry bed of Owens Lake by some rockhounds. What was discovered after it had been cut in half, ruining a diamond saw blade in the process, is something that has caused much debate over the years, and continues to this day. In the middle of the geode was a metal core approximately .08″ in diameter. Encircling this was what appeared to be a ceramic casing which was also surrounded by a hexagonal sleeve of wood, which had become petrified. This was encased by the outer layer of the geode which was made up of hardened clay, pebbles, and bits of fossil shell, and two nonmagnetic metallic objects resembling a nail and a washer. A fragment of copper still remaining between the ceramic material and the petrified wood indicates that possibly the two may have been separated by a copper sleeve. X-rays of the objects were taken and examined by Paul Willis, then editor of INFO Journal who noticed a startling similarity between it and a modern spark plug. An unnamed geologist in the original report of the find came up with an age estimate of 500,000 years based on the fossils contained in the matrix (note-this would not indicate what date the accretion was formed). Found in California, a rock was cracked open in search of fossils. But instead of a fossil, out fell a very strange object. The rock came from a formation that had been dated at around half a million years old. In the picture below on the right is an x-ray of the object. It is composed of a ceramic material and metal. In some respects it resembles a modern spark plug. “In the 1960’s a local farmer was selling rocks he had found in caves and gorges near the city of Ica Peru. Over the years he had aquired thousands of these stones. Eventually the archeological community heard of these rocks and began to investigate. The farmer was arrested and confined by the government of Peru and upon his release he recanted his testimony and confessed that he had carved them himself. Dr. Cabrera had asked the farmer where he found the stones. The farmer was evasive and maintained his story that he made them himself for fear of being put in jail for the rest of his life. It has been determined by some that he was coherced into his confession. A total of about 15,000 of these stones have been recovered. The bulk of these are stored in the Ica Stones Museum in Peru. The carvings on the stone are not cut into the stone. These ancient stones have a varnish over them that is formed over thousands of years. When the varnish is removed the lighter colored lines appear. When the carvings on the stone were examined it was found the the carvings themselves have some varnish on them as well indicating that the carvings are also of ancient origin. The stones are supposedly dated from 90 to 225 million years ago. Contrary to conventional thought, Slavery was NOT only endured by Blacks, all peoples have at one time or another been enslaved. The irony is that it is Blacks who appear to have created the institution of Slavery. 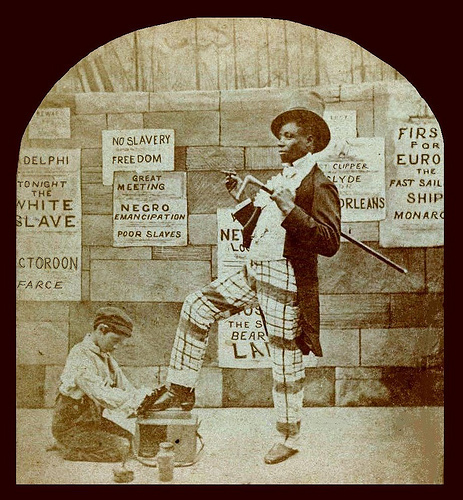 As the creators of civilization, and the builders of the worlds first cities, Blacks logically were the first to have a need for slaves, as a source of free labor. Slavery in ancient cultures was known to occur in civilizations as old as Sumer, and it was found in every civilization, including Ancient Egypt, the Akkadian Empire, Assyria, Ancient Greece, Rome and parts of its empire. Such institutions were a mixture of debt-slavery, punishment for crime, the enslavement of prisoners of war, child abandonment, and the birth of slave children to slaves. In the Roman Empire, probably over 25% of the empire’s population, and 30 to 40% of the population of Italy was enslaved. Records of slavery in Ancient Greece go as far back as Mycenaean Greece. It is often said that the Greeks as well as philosophers such as Aristotle accepted the theory of natural slavery i.e. that some men are slaves by nature. At the time of Plato and Socrates, slavery was so accepted by the Greeks (including philosophers) that few people indeed protested it as an institution. In the Viking era starting c. 793, the Norse raiders often captured and enslaved militarily weaker peoples they encountered. In the Nordic countries the slaves were called thralls. The thralls were mostly from Western Europe, among them many Franks, Anglo-Saxons, and Celts. 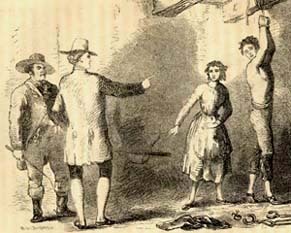 Many Irish slaves participated in the colonization of Iceland. There is evidence of German, Baltic, Slavic and Latin slaves as well. The slave trade was one of the pillars of Norse commerce during the 6th through 11th centuries. 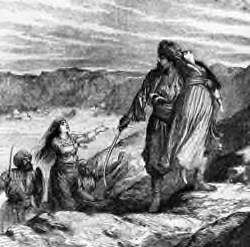 The Persian traveler Ibn Rustah described how Swedish Vikings, the Varangians or Rus, terrorized and enslaved the Slavs, (thus the word Slave). The Vikings raided across Europe, though their slave raids were the most destructive in the British Isles and Eastern Europe. While the Vikings kept some slaves for themselves as servants, known as thralls, most people captured by the Vikings would be sold on the Byzantine or Islamic markets. In the West the targets of Viking slavery were primarily English, Irish, and Scottish, while in the East they were mainly Slavs. The Viking slave trade slowly ended in the 1000s, as the Vikings settled in the European territories they once raided. The Mongol invasions and conquests in the 13th century made the situation worse. The Mongols enslaved skilled individuals, women and children and marched them to Karakorum or Sarai, whence they were sold throughout Eurasia. Many of these slaves were shipped to the slave market in Novgorod, (near Moscow in Russia). Slave commerce during the Late Middle Ages was mainly in the hands of Venetian and Genoese merchants and cartels, who were involved in the slave trade with the Golden Horde. In 1382 the Golden Horde under Khan Tokhtamysh sacked Moscow, burning the city and carrying off thousands of inhabitants as slaves. Between 1414 and 1423, some 10,000 eastern European slaves were sold in Venice. Genoese merchants organized the slave trade from the Crimea to Mamluk Egypt. For years the Khanates of Kazan and Astrakhan routinely made raids on Russian principalities for slaves and to plunder towns. Russian chronicles record about 40 raids of Kazan Khans on the Russian territories in the first half of the 16th century. In 1521, the combined forces of Crimean Khan Mehmed Giray and his Kazan allies attacked Moscow and captured thousands of slaves. In 1441, Haci I Giray declared independence from the Golden Horde and established the Crimean Khanate. For a long time, until the early 18th century, the khanate maintained a massive slave trade with the Ottoman Empire and the Middle East. In a process called the “harvesting of the steppe”, they enslaved many Slavic peasants. About 30 major Tatar raids were recorded into Muscovite territories between 1558-1596. 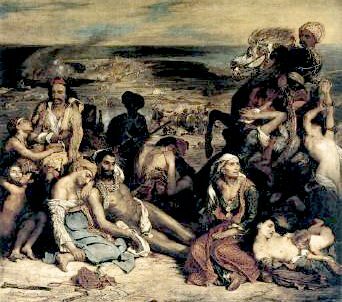 In 1571, the Crimean Tatars attacked and sacked Moscow, burning everything but the Kremlin and taking thousands of captives as slaves. 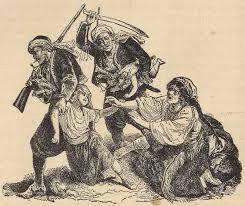 In Crimea, about 75% of the population consisted of slaves. *Runoko Rashidi is an historian, lecturer and world traveler. He is the author of Black Star over Europe and African Star over Asia. To get information about Runoko, his tours, lectures and books, go to http://www.travelwithrunoko.com.